The Olympus 282 is a spacious dual control hot tub that offers space & comfort within its 200cm x 200cm circular frame. Just like all Zspas models, the Olympus 282 is blessed with a multiple layered acrylic shell under which a high density insulated foam cradled by a strong stainless steel frame for extra protection & structure lie. The Olympus 282 also benefits from enhanced internal insulation for added efficiency. With 1200 litres water capacity, the Olympus 282 has plenty of room for movement within the 5 seater design. The bench style seats entitles users of any size and frame to enjoy the hot tub with the ultimate satisfaction & pleasure. What sets the Olympus 282 apart from all hot tubs for the commercial sector is the Balboa inspired modifications to enable compliancy with HSG 282. 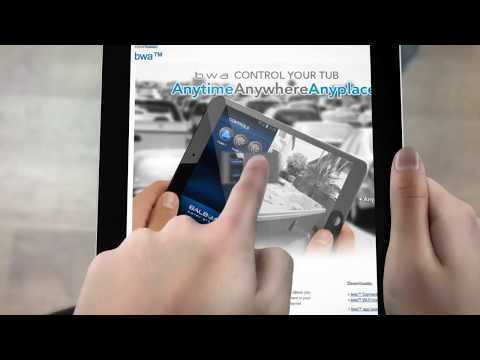 The Balboa WIFI adapter is also standard so the spa system could also be controlled remotely via a smart device. Extra features of the Olympus 282 include water pressure adjustment, filtration system plus LED surround lights & Balboa bluetooth audio for the perfect mood enhancement. To complete the Olympus 282 hot tub, complimentary steps & spa cover are included with the list price. Contoured lines merge both body & surface together and also with the added depth that Zspas models offer, the highest quality of relaxation is acheived. Our programmable filtration system allows full control of the filtration process with the twin filter system of the Olympus 282 working in tandem to prevent the passage of any unwanted solid particles. Hot Tub Suppliers are Multiple British Pool & Hot Tub Award Winners in 2016, 2017,2018 & 2019 of Hot Tub Health Benefits which only illustrates the quality of the jets plus pumps in this hot tub range. ...and no filter ammendments !